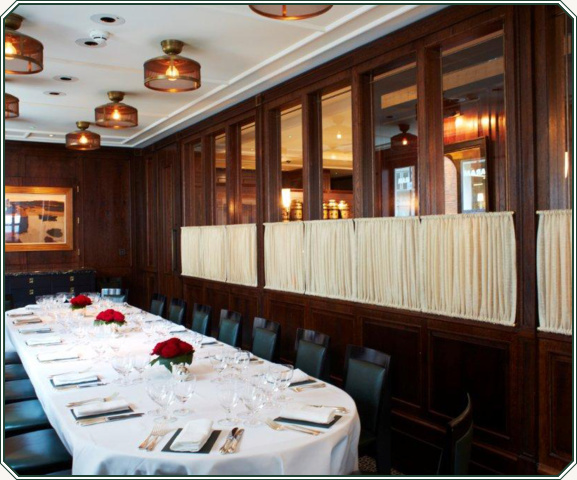 The Delaunay offers a spectacular Private Room in keeping with the design of the main restaurant, accommodating up to 26 guests. 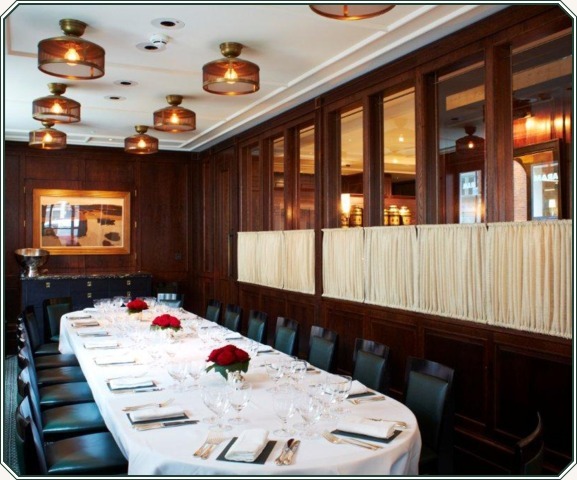 The room can also be discreetly transformed to offer two more intimate spaces accommodating up to 10 and 16 respectively. 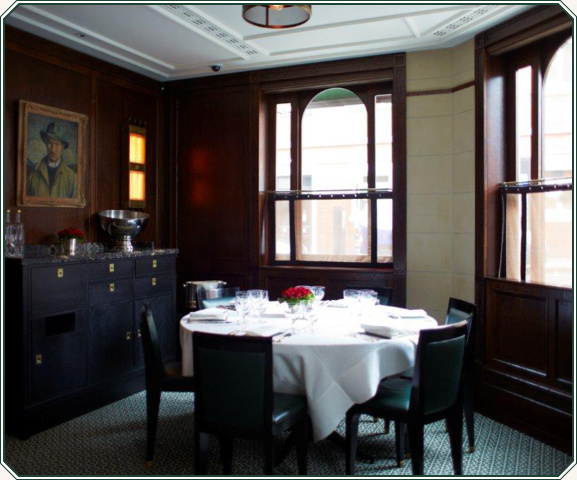 Complementing the Old World charm of the dining room, the Private Room's dark wood panelling, brass fixtures, marble counters, green leather seating and original paintings from the restaurant's outstanding collection make for a warm and inviting space well-suited to a variety of occasions. 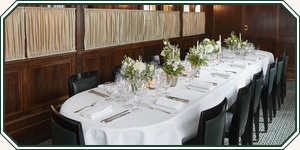 Perfect for working breakfasts, lunches, presentations, celebratory afternoon teas and birthday dinners. 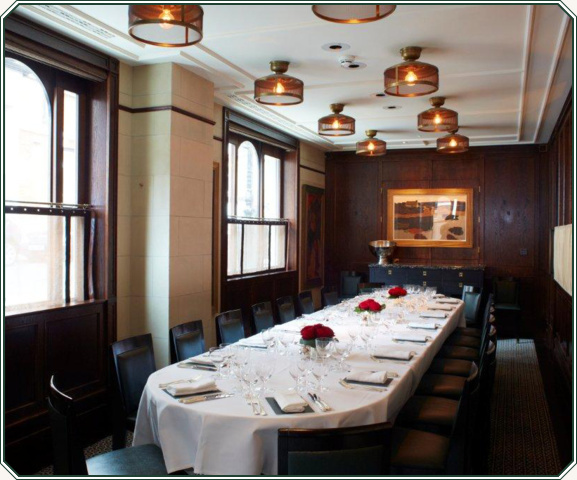 The rooms are available to hire throughout the day - we can be flexible on timings and will liaise with you on what works best for your event. 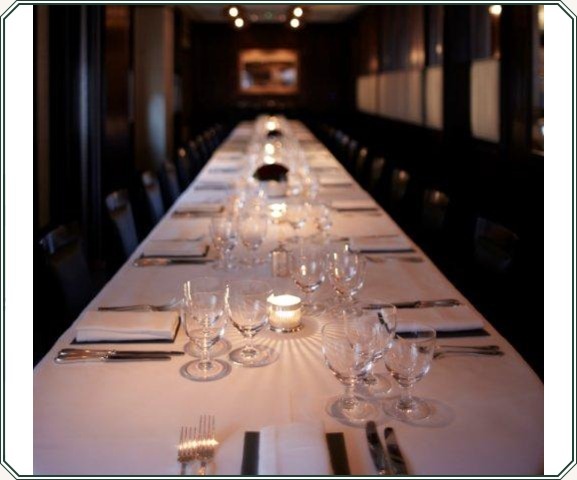 There is no hire charge - only a minimum spend starting from £200 applies. 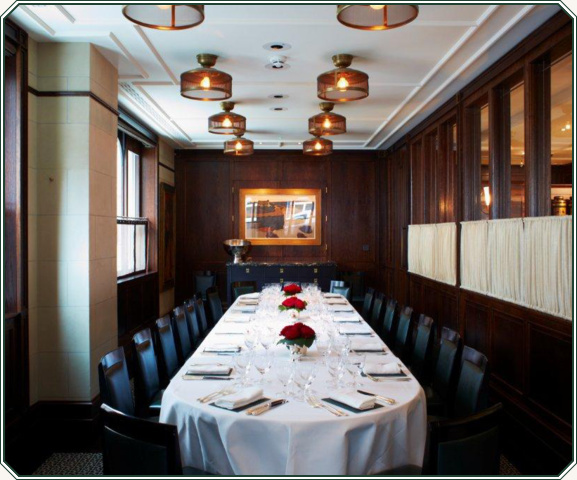 For those thinking ahead to Easter, our Private Room is a particularly beautiful space in which to gather with friends or family and share a celebratory meal together. 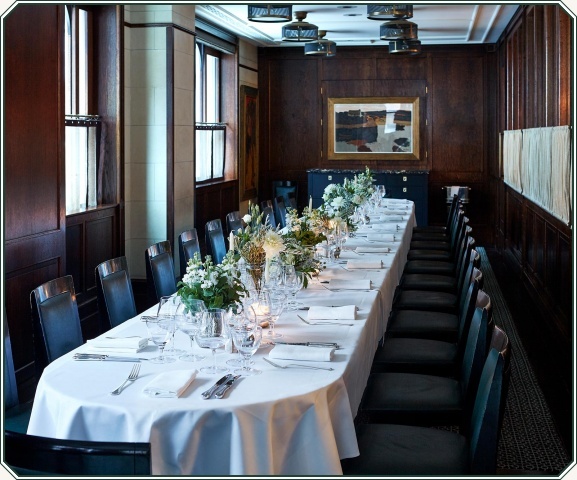 Our Head Chef, Malachi O'Gallagher, has designed a set menu of Prawn Cocktail, Roast Chicken with Roast Potatoes & Seasonal Vegetables, a Bavarian Chocolate Easter Egg Cake and Tea or Coffee with Petit Fours, for those joining us over the period, for £65 per person. 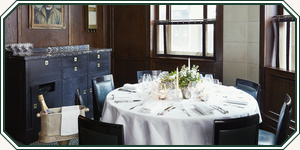 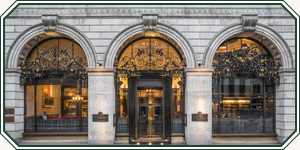 View brochure for further details of Private Dining at The Delaunay, including floor plans. 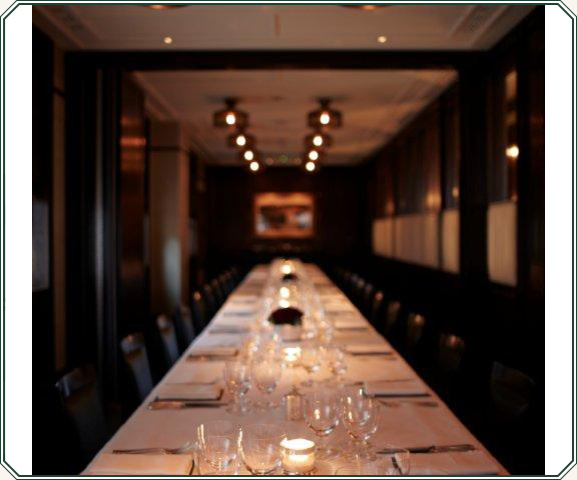 We have a range of elegant rooms in our restaurants.